Cell phone users are increasingly turning to Bluetooth technology to talk - hands free - on their phones. But as this high tech tool gains popularity in the US and Canada, scammers are finding ways to exploit it. Scammers use specialized software to intercept your Bluetooth signal and hack into your device. It's called "bluebugging." Doing this gives them access to all your texts, contacts, photos, call history... everything on your phone. Scammers sometimes use hacked phones to make long distance calls. Other times, they access your private text messages or photos. But unless you are a celebrity, government official or high-powered corporate executive, you are unlikely to be a target. Recently, the newest scheme is for scammers to set up a pay-per-minute phone number. Then, they hang out in a busy area and hack into phones. Scammers use the phones to dial the number and rack up charges by the minute. Always use a minimum of eight characters in your PIN. The longer your code, the more difficult it is to crack. Switch Bluetooth into "not discoverable" mode when you aren't using it. If you make a call from your car, be sure to switch it off when you get out. Crowded public places are top spots for hackers. Don't accept pairing requests from unknown parties. If you happen to pair your phone with a hacker's computer, then all your data will be at risk. When pairing devices for the first time, do so at home or in the office. Make sure you download and install regular security updates. Device manufactures will release updates to address threats and correct weaknesses. 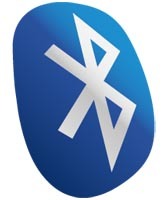 Check out Bluetooth.com for tips on using products with Bluetooth technology. Also, see your cellphone manufacturer's website for more advice.